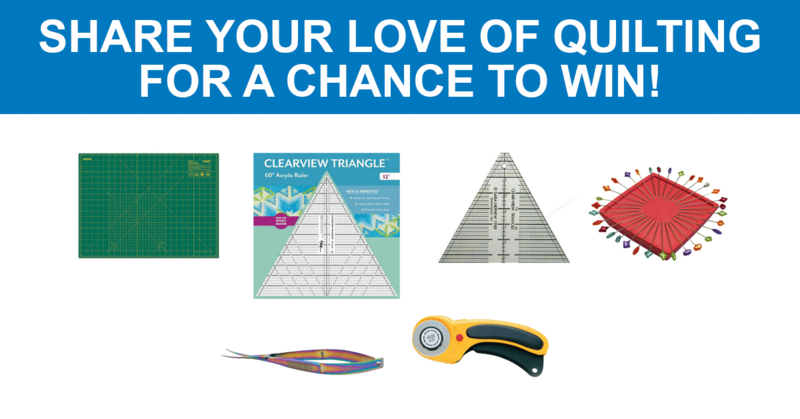 Share Your Love of Quilting for a Chance to Win! 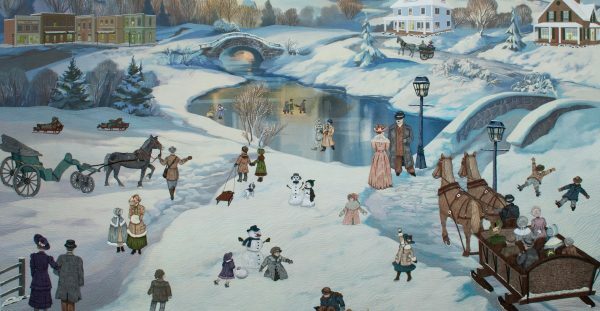 As part of our BERNINA 125 Years Golden Anniversary we are celebrating your creativity all year long as per our 2018 motto “Celebrate Your Creativity!” We couldn’t think of a better way to honor your creativity during National Quilt Day in March than inviting you to share your love of quilting with us and offer you a chance to win a fantastic quilting prize package! 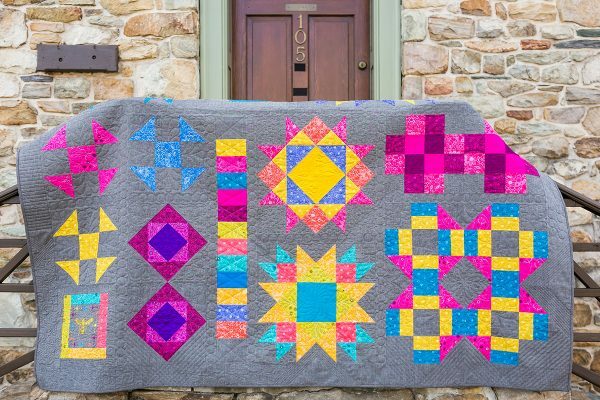 Maybe you created a quilt as a special gift, or made a quilt as a dedication to someone you love, or created a special wall hanging to decorate your home, or even completed a quilt you entered in a show. No matter the reason, we want to see how your love of quilting has made you proud. If you haven’t uploaded a story to our WeAllSew Community Section before, here’s a few tips to get started! 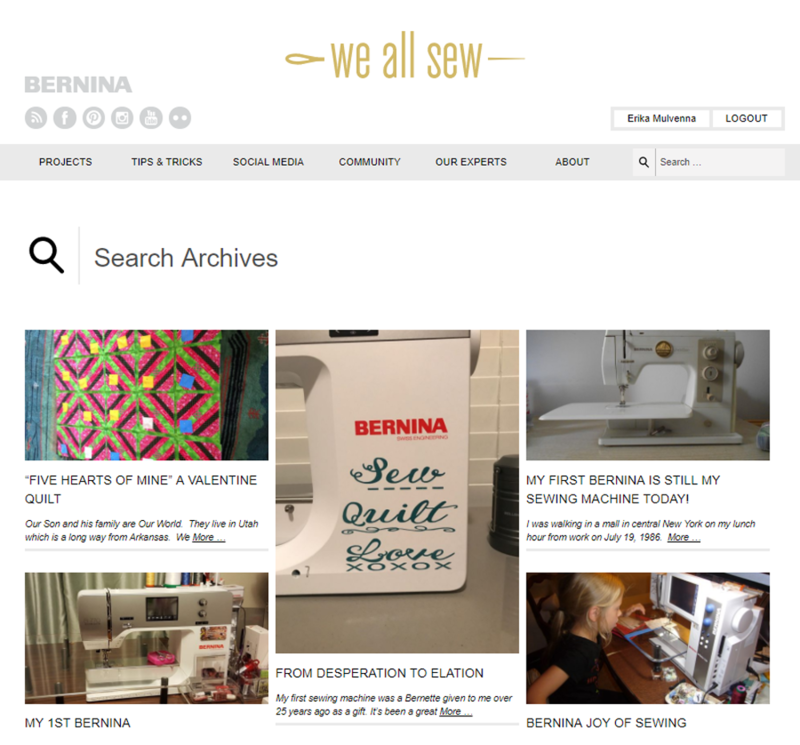 If you’re already registered to our WeAllSew blog, you’re ready to start sharing! If you’re not registered yet, click on the SIGN UP button at the top right and fill out the form. Look for a follow-up email in your inbox to finalize your registration before logging in. You can find a full step-by-step tutorial that walks you through how to upload a story to our Community Section here on WeAllSew. 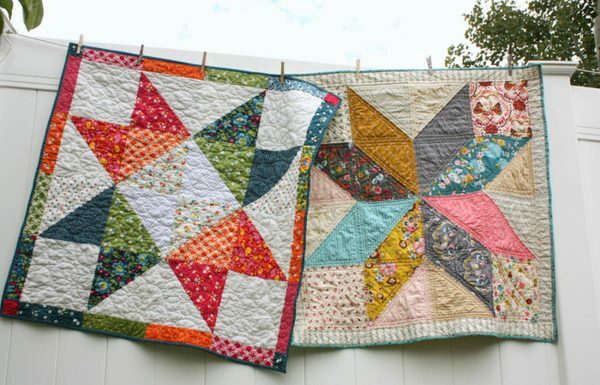 Choose photos to represent your quilt story carefully, you can upload anywhere from just one to twelve photographs to help illustrate your story. We’ve found that horizontal rectangular photos showcase your projects the best in the Community section. The first photo you upload will become the featured photo in the Community gallery. So make sure your first photo you upload showcases your project! In fact, you may want to write your story and line up your photos before you go ahead and upload your story just to make sure everything is just right. Show us your Love of Quilting! We can’t wait to sew what your create! Click here to read the official rules. ELIGIBILITY: Open to legal residents of the 50 United States and the District of Columbia who are 18 years of age or older. The following individuals are not eligible to enter or win a prize: employees, contractors, directors, and officers of BERNINA of America, Inc. (“Sponsor”), its parent, subsidiaries and affiliated companies, and the web design, advertising, fulfillment, legal, judging, administrative, and Sweepstakes agencies involved in the administration, development, fulfillment, and execution of this Sweepstakes (collectively, “Sweepstakes Parties”), and the immediate family members (spouse, parent, child, sibling, grandparent, and spouse or “step” of each) and those living in the same household of each such person (those persons whether related or not who live in the same residence for at least three months during the twelve-month period preceding the start date of the Sweepstakes). SWEEPSTAKES PERIOD: The Sweepstakes begins on March 13, 2018 at 8:30:00 a.m. Central Time (“CT”) and has been extended to May 31, 2018, at 11:59:00 p.m. CT (the “Sweepstakes Period”). The Application server is the official clock for this Sweepstakes. I have two quilts that I am proud I made…both where made for special people in my life. They asked me to make theme quilts for their Via DeCristo weekends. More art quilting then I had ever done and stretched my creativity. The quilt I am proud I finished.. everyone of them. As Angela says…A finished quilt is better than perfect quilt. I’m most proud of a Civil War reproduction fabric quilt that is queen size. I love it, and my daughter has already staked her claim to it. I am very proud of the very first quilt I made. I never intended to keep it. But, when I quilted it on a long arm machine (after being given a few tips on how to quilt it by Dawn Cavanaugh) I tried my hand at writing my grandchildren’s names on various rows of the quilt. That cinched it for me and to this day use the quilt. I have many quilts that I have started but never complete, now that I’m retired I hope to get back to sewing. But I have finished a king size ragtime quilt that I’m very proud of. My husband did not think I would finish! I made a quilt for a family who had just moved to NYC from Houston to their young husband/father’s dream job—in Tower 1……the wife Joshi and I were connected through a quilt organization who were trying to help 911 victims cope……The children (3) wrote notes to their dad, which I copied onto printable fabric, and along with photos, it was all laid out on a football field quilt because Dad was crazy about the Green Bay Packers. Packers fabric was used to back the quilt. I’ll never forget this experience, and in fact met the family a few years later in Houston, where they returned to, and where I attended the International Quilt Show that year. My favorite quilt is always the last one I finished. Started sewing crafts for kitchen and table runners for holidays and proud to now making quilts for my family and friends. My first experience with making a quilt was to finish a quilt my grandmother started before she passed away. I gave it to one of my three daughters and she cherishes it. I recently received some embroidered pieces that grandmother finished and I can’t wait to add them in a quilt for my other two daughters! The last quilt I made was from the book Distinctive Dresden’s. I had wanted to make one in memory of my grandmother who loved Dresden Plates & did them with templates. It was very rewarding to dream& then actually finish this project. The first quilt I made and Finished was a Christian cross lap quilt for my daddy when he was diagnosed with liver cancer. He was never a man to show emotion or appreciation, or tell you he was proud of you. He cried when I gave it to him and said it was the most beautiful gift he’d ever been given. He showed it to everyone who came to see him, and took it to all his chemo sessions and hospital stays. If that little quilt meant so much to him…I knew I had to keep quilting. Every time I give someone a quilt I made for them, a piece of me goes to them with it. I hope I’m able to make quilts for my loved ones for many many years to come. My favorite quilt I have made is one for my daughter called Dear Daughter. It is a combination of piecing and applique with awesome sayings on it. I made my own Spirit of U of M quilt for my brother in law and used a simple design. Also, I hand embroidered footballs. Simple blocks of yellow and blue with blue binding. He totally loved it and I was so happy that I made a quilt on my own. I started quilting when I retired, and have made several for loved ones. My favorite was a t-shirt quilt for my grandson’s graduation. It is something he truly cherishes. I made a quilt for my youngest granddaughter that had baby foxes on the material, her favorite animal.